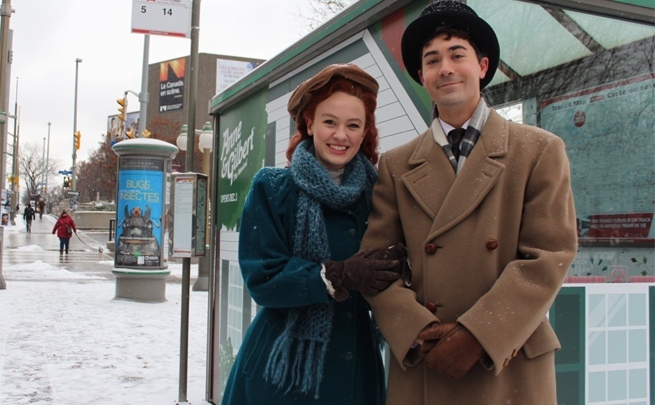 In which a road trip brings the opportunity to follow up with one of my favourite people, meet “Gilbert Blythe”–well online anyway–and connect with the National Arts Centre in Ottawa. Those of you who have followed this blog are quite familiar with my *clears throat* interest fascination obsession “theoretical interest” in all things related to the popularity of the perfect man archetype and what makes the relationship between certain fictional couples so popular with fans, and then how the Anne & Gilbert: The Musical fits into this. In 2014, actors Ellen Denny and Patrick Cook visited the blog in what would become one of my most popular posts in the Embodying Character series. 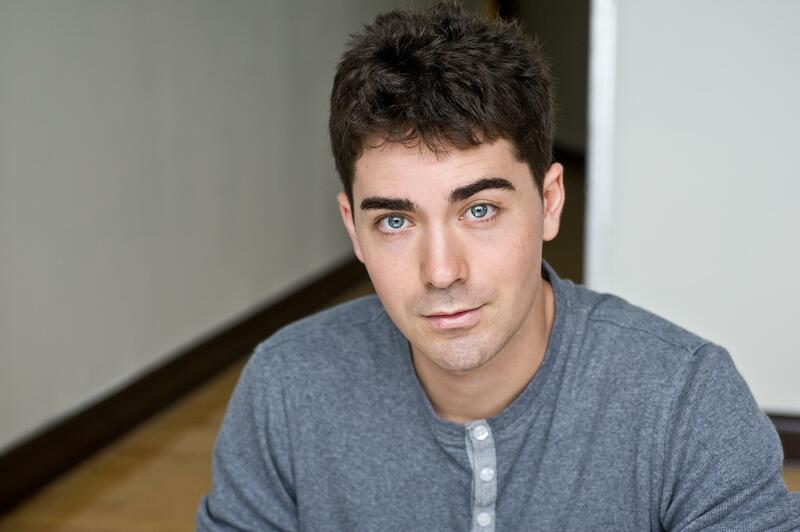 Today, I have a unique opportunity to not only follow up with Ellen, but also talk with the new actor playing Gilbert Blythe, Alex Furber (see above). Because (of course) we were conducting #research, (as one does) at the beginning of December, fellow L.M. 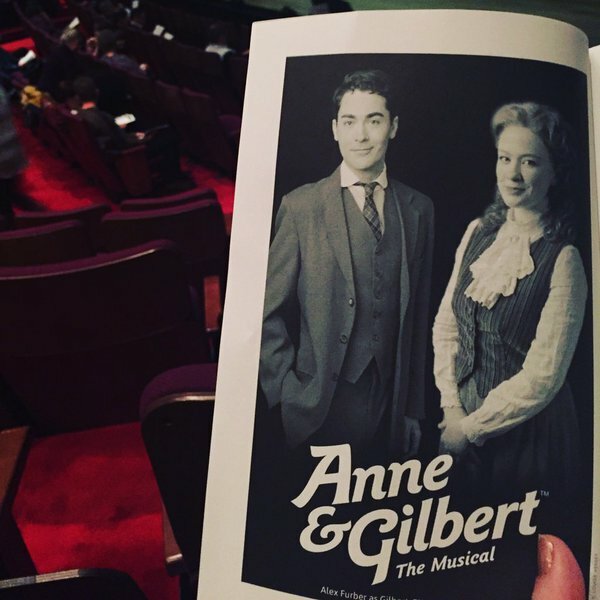 Montgomery scholars and dear friends, Rachel McMillan and Laura Robinson, joined me on a road trip to Ottawa, Ontario (via Toronto to Kingston), to see Anne & Gilbert: The Musical at the National Arts Centre, now playing until December 23. Now, I know what you’re going to say: Mel, haven’t you seen this like 8 times? And I would say (blushing): Yes. Yes, I have, but it is #research. And you would say: Yeah, right. 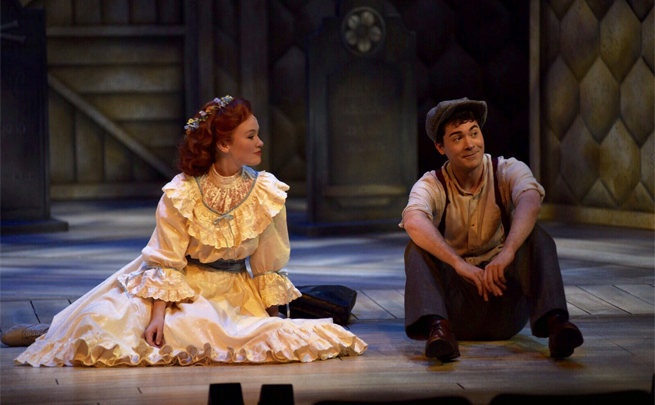 And I would say (not sounding at all defensive): Yes, yes it is because this show is evolving from when I first saw it in 2008, with every staging and cast providing a different interpretation of the relationships and characters, which is my main fascination…as is that it is one of the rare opportunities we see things from Gilbert Blythe’s perspective. 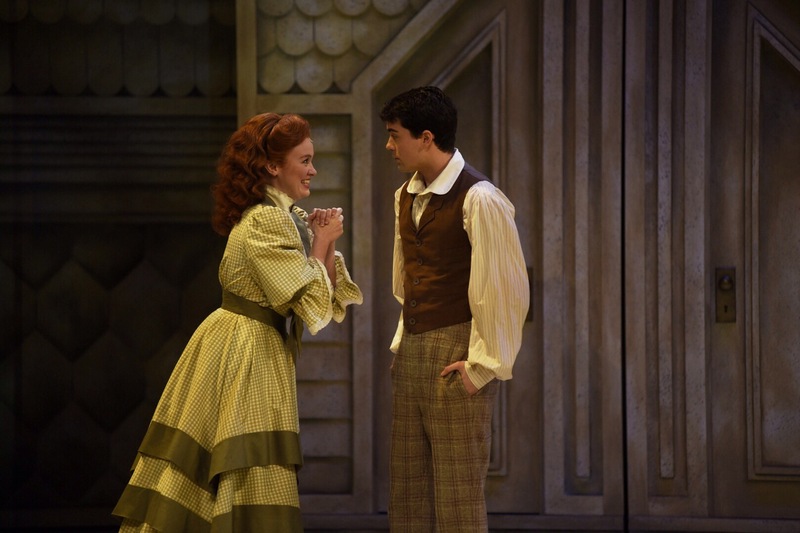 Plus, Ellen Denny as Anne Shirley is simply delightful, as is Alex Furber’s adorable portrayal of Gilbert. Plus, there was a talk with one of the show’s producers, Campbell Webster and the lyricist, Nancy White, before the show. As well, the exploration of female friendships is also very interesting, with many duets between women–more than most shows I see.We also had a very responsive audience that first weekend, who laughed in all of the right places and gave the cast a standing ovation. Afterwards, it became clear that I had more questions and because Ellen is made of awesome, she agreed to answer some about what it is like to return to playing Anne. And then Alex Furber thanked me on Twitter for coming–and well, now we are here. You can read the previous interview with Ellen, here. Some stuff about Ellen Denny: What an honour to portray national treasure Anne Shirley here at the NAC! 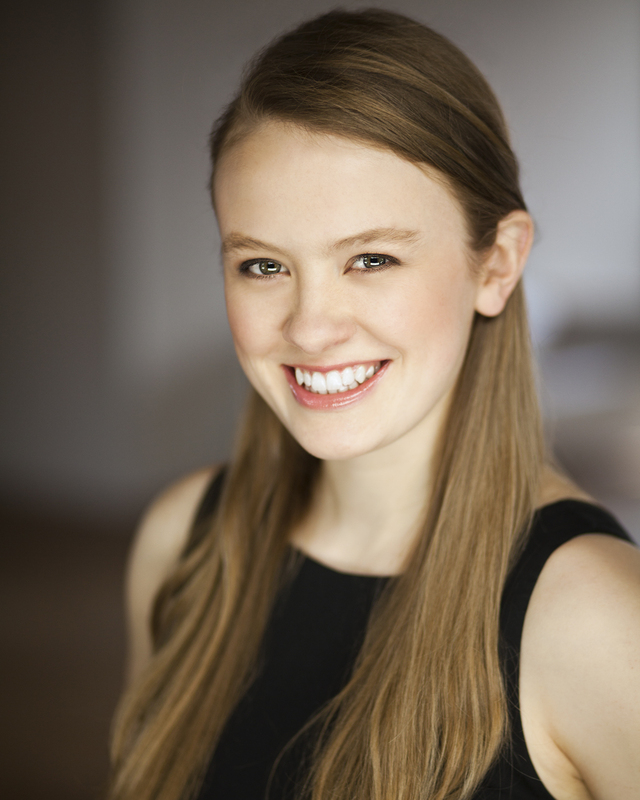 Ellen has previously performed the role for two summers at The Guild in Charlottetown, PEI. Other credits include Vanya and Sonia and Masha and Spike (Royal Manitoba Theatre Centre/Mirvish Productions); Great Expectations, Sweeney Todd (Neptune Theatre); A Christmas Carol (Theatre New Brunswick); The Penelopiad (Citadel Theatre); Funny Money, Peter Pan, The Three Munschketeers (Festival Antigonish). Training: Dalhousie University (Music and Theatre) and the Citadel/Banff Professional Theatre Program. Mel: In our last conversation we spoke a lot about creating and embodying Anne, and gaining insights into the process of creating character. I appreciate this opportunity to continue it today. One of the things you mentioned that we didn’t get a chance to pick up on last time was how part of your studying of Anne’s character was looking at how other characters see her. What were some of the particular moments of insight for you? Perhaps with this show? Ellen: Anne is a perfectionist, so she doesn’t spend a lot of time giving herself credit for the world of good she does to those around her. I love the moments in the show where you are reminded of her generosity, particularly in giving up her very prestigious (and hard-won) scholarship to university in order to stay at Green Gables and help Marilla. 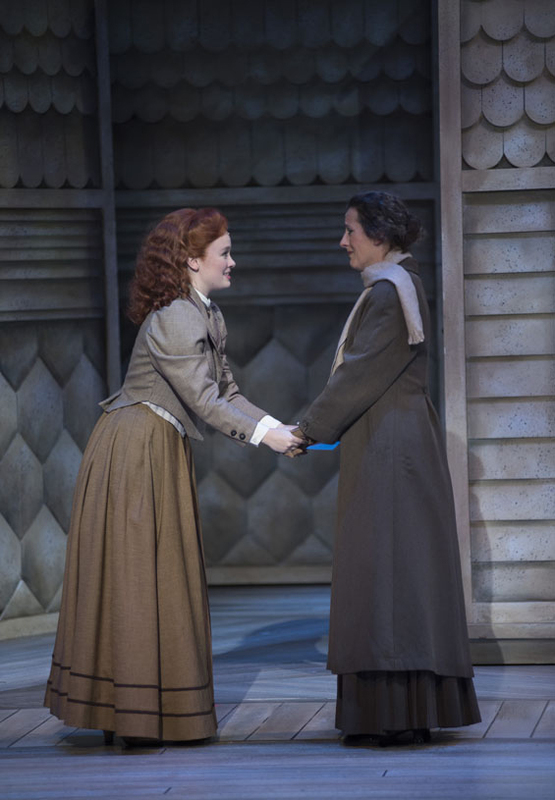 The way our Marilla here in Ottawa (Alison Woolridge) delivers these lines, it has really driven home for me the magnitude of the sacrifice that Anne makes out of her love for Marilla. Mel: That’s so fascinating that another performer could show something new. I think it is similar to when we see different versions of the same story being played out. I also really enjoyed Woolridge’s interpretation of Marilla. It has been a year or so since you have played Anne. Was it easy to find your way back into her character? Was it like coming home, did it “refill the well?” Do you find that you are playing her any differently? Ellen: Its a unique experience to return to a role, and yes it all came flooding back! A lot has happened for me personally in the past year so I think that inevitably changes what I bring to the role, specifically a deeper emotional connection to some of the material. For the most part though, the changes are subtle, because this show and role is already so established in my body. Being in multiple productions with (like in this case) many new faces, including a new Gilbert, was there anything new you learned about the show and Anne and Gilbert’s relationship? How does Alex’s interpretation of Gilbert help you see Anne differently? Are there similarities? Ellen: I have enjoyed working with Alex because we both already know the show so well, that we are comfortable to just play with these characters onstage each night. His Gilbert is earnest and sweet which acts as a foil to really heighten Anne’s fiery qualities. I’ve often thought about the similarities between Anne and Gilbert being what makes them a good match, but in Alex’s portrayal, Gil almost becomes the yin to Anne’s yang. He takes her temper flare ups in stride, knowing that her unbridled passion is what makes her so special. Mel: Yes, that is what I observed about this performance as well. And so it will be interesting to see what Alex has to say now about playing Gilbert…. Mel: As a writer, I’m always looking for interesting ways to get into character and one the things I’m curious about is how actors do this, so my first question is: How do you begin to approach a character and then how did this particular approach apply to your creation of Gilbert Blythe your own? Are there certain mannerisms? A particular physicality? Alex: When I start to build a character first I need to really know the story is that’s being told and the defining characteristics the writer has given the character. Then map out how the character changes from the start to finish, and what his biggest need is. I think from there I can start to figure the essence of there person I’m playing. I think for Gilbert a big part of his essence is “Love” and “Confidence”. So I know when playing the character my mannerism’s and physicality will be informed by that. Mel: Yes! Exactly! The idea of a character’s biggest needs, a character’s essence. This is what the writer hopes to convey to the reader…once we understand it ourselves. I have argued in the past that one of the things that Gilbert must go through to win Anne is that confidence. This is my perception, but there are many others. Indeed, readers of Montgomery’s work (or those who have seen the Sullivan miniseries) have about Gilbert Blythe—a kind of ‘perfect boyfriend.’ How do you feel being connected to this ideal? Do you think who plays a character influences our perceptions of them? Has this influenced how you’ve responded to the show? Alex: I think actor’s performances can be as iconic as the character’s themselves. In the play they talk a lot about Anne’s “ideal” man. It’s a lot of fun to play Gilbert who so earnestly fights for Anne’s hand, but I do think certain performances influence the way we think of characters because the actor can bring a new side a character the audience already knows so well. Mel: There is definitely something to be said about that. It is why I am excited to know how you think about Gilbert. Like Ellen, you’ve played opposite another Anne (Kate Slater), as well as being in the production in Charlottetown this past summer (which my friend and I saw in August). How did working with Ellen change or enhance your understanding of Gilbert and his relationship with Anne? Alex: In rehearsing and performing with Ellen on this production I discovered, and we played with, the true lifelong friendship that Anne and Gilbert have. They’ve know each other for so long, have so much history and are so comfortable with each other, but both have such deep feelings for each other that are struggling to be expressed. I think that ease and sense of play that they have with each other really made understand more Gilbert’s struggle of not wanting to lose this amazing friendship but need to express his love. 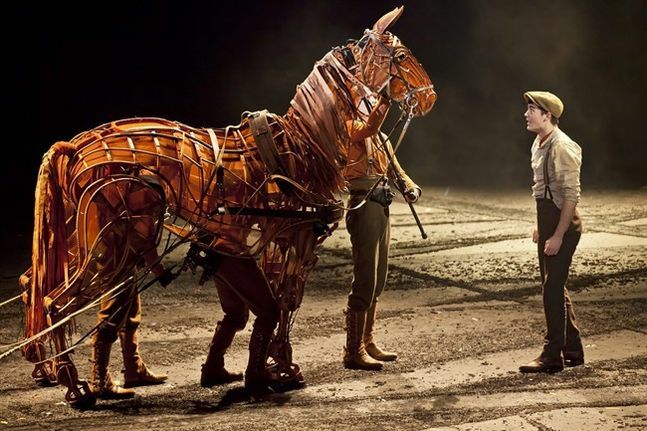 Mel: You’ve played a character from a novel before, (Albert in the Mirvish’s production of Warhorse in 2012, which I also saw in Toronto a few years ago—yes, I see A LOT of theatre.) Do you read your source material in help to prepare for the role? How does working with an adapted work differ from other types of theatre you’ve done? Alex: I think source material and research is really important, it makes all the images you need to play the part clearer. I love reading different adaptations of shows, because they can be so divergent. It is always nice to be in a show that’s a fresh take on a well known story. Thanks again to Ellen and Alex for coming on the blog today and to the NAC for facilitating this. Like all things Montgomery, it did rejuvenate me as I head into more revisions. I must also, seeing theatre in a city not your own is an awesome experience and you should all try it. Even seeing the same show in different cities, because you get the flavour of the place you’re visiting, and (at least with this show) a particularly Canadian experience. Perhaps this weekend? My novel, MAUD: A Novel Inspired by the Life of L.M. Montgomery was published in 2017 through Penguin Random House on April 25, 2017. I hold an MFA in Writing for Children and Young Adults from the Vermont College of Fine Arts. Here I talk about my writing process, things I love, and creative people who inspire me. This entry was posted in Anne of Green Gables, Embodying Character Series, Inspiration, L.M. Montgomery, Theatre and tagged Alex Furber, anne and gilbert, anne and gilbert: the musical, anne of avonlea, anne of green gables, anne of the island, Anne Shirley, book boyfriends, canadian authors, Canadian Theatre, ellen denny, Gilbert Blythe, l.m. montgomery, National Arts Centre, prince edward island, writing Q&A. Bookmark the permalink.